Our children are looking for a teacher who is friendly and makes learning exciting and fun. If this is you, then please apply now! The governors would like to appoint an enthusiastic and creative teacher, to teach one of our wonderful classes for two days a week. We can offer you children with outstanding behaviour, who are eager to learn, a well-equipped classroom, continued professional development opportunities, as well as supportive staff and parents. You need to be a dedicated team player with a great sense of humour. Visits to our school are encouraged in order for you to appreciate our caring ethos, fun atmosphere, and to meet our children and members of our fantastic team. At Ashton St. Peter’s Primary School we are committed to safeguarding and promoting the welfare of children. We welcome applications regardless of age, gender, ethnicity or religion. Applications will only be accepted by completing an application form. We are unable to accept applications with a CV. All successful candidates will be required to undertake a criminal record check. Visits are encouraged and very warmly welcomed prior to application. Further details can be obtained from the school office. 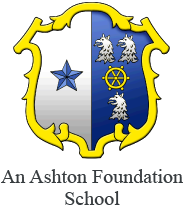 For further details and an application pack please contact Karen O’Geare, office@ashtonstpeters.beds.sch.uk, 01582 663410.